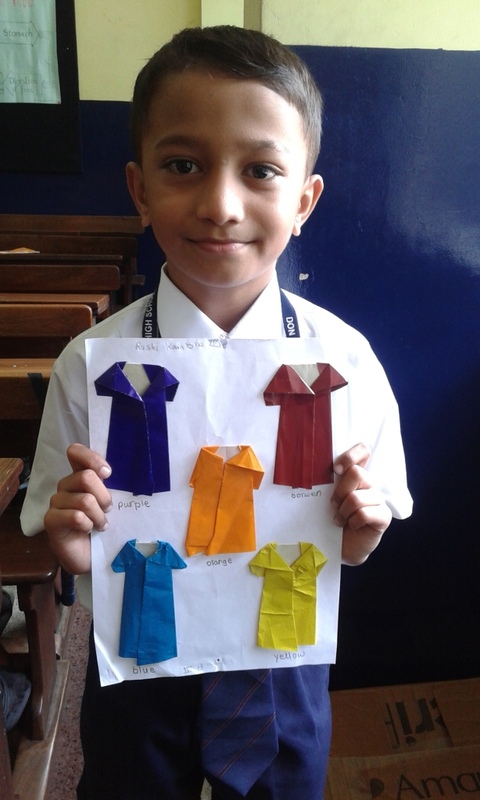 I was very excited when our teacher taught us to make a paper- folding Raincoat . It was an amazing experience to make a raincoat along with the whole class. I was very happy when my raincoat was displayed on the bulletin board. I liked making Raincoat so much that I not only made one but four more.